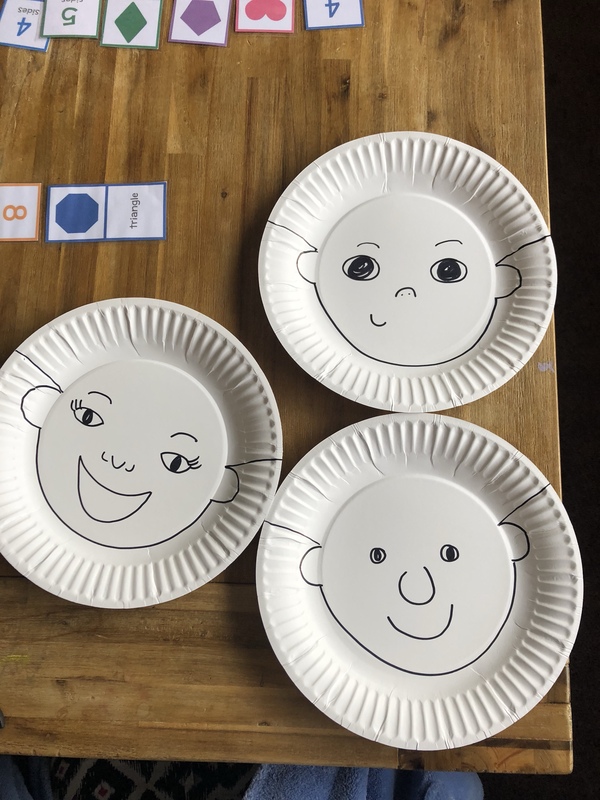 Paper plates are great resource to pull out for a great activity. We have turned paper plates into aquariums, tambourines, wind whirlies and all sorts. 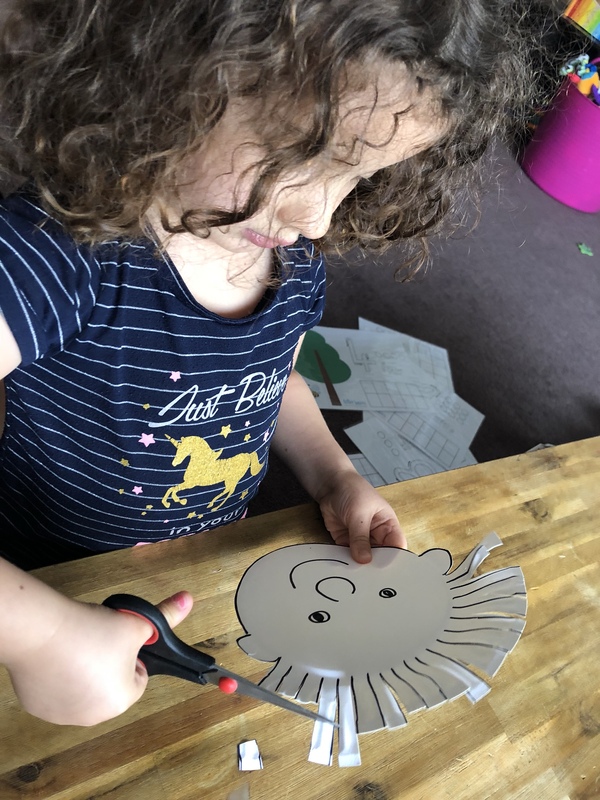 Watching Miss 4 try and manipulate her scissors around a design the other day bought to my attention that this is an area we need to practise. A lot of skill goes into using a pair of scissors. Both left and right sides of the body are required to work together to complete the task, not to mention the strength in the hands to wield the the blades together and hand eye coordination. 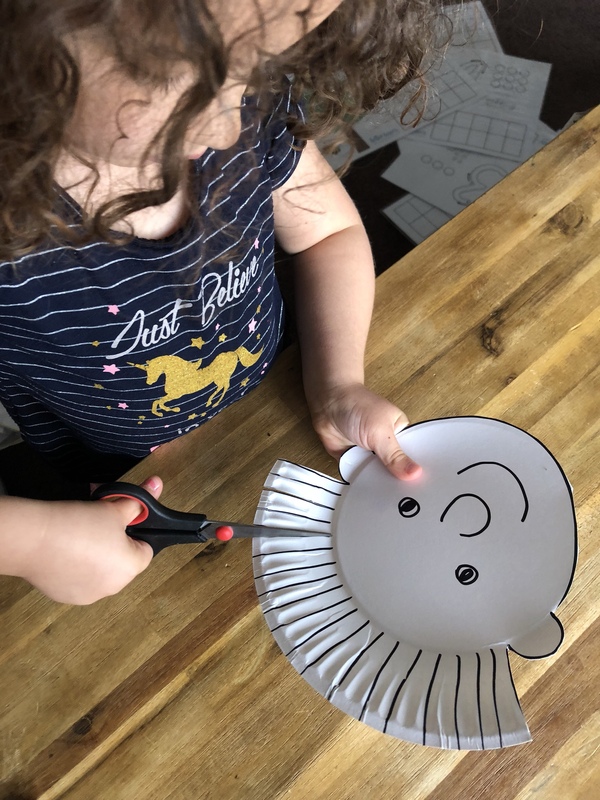 To increase chance of success whilst Miss 4 practised her snipping, the plate was the perfect medium! 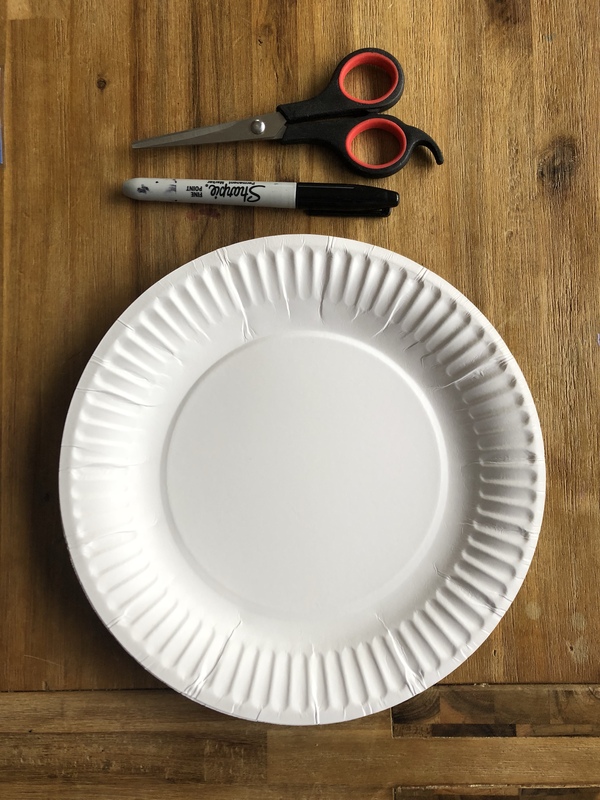 Paper can be quite limp making it more challenging to work with unlike the rigid cardboard that makes a good old paper plate! 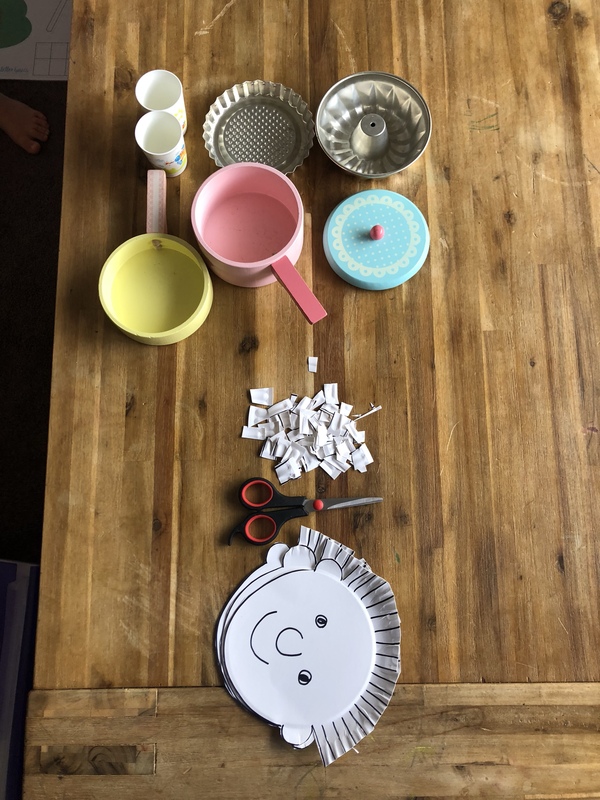 It didn’t take long to draw up three smiling characters and have Miss 4 snipping away. She was engrossed in her task from the get go however needed a little coaching to get her using the correct technique. A catchy little line that most kids are already familiar with. Thumbs up for a great job and thumbs up top when using scissors. It’s not going to be able to help if it has been snipped – safety first! It’s the helping hand that moves the paper while snipping. The scissors should be staying still while the paper is being moved between the blades. It didn’t take her long to snip down the lines to give each of the characters a full head of hair. 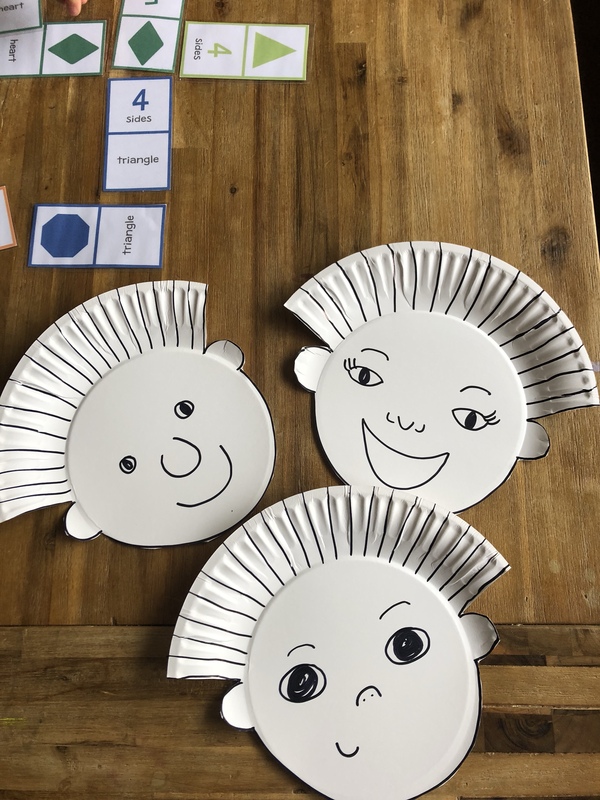 After a quick conversation about the similarities and differences our characters had, I gave Miss 4 the task of styling their hair and giving them a hair cut. The three characters had perfectly styled looks and Miss 4 was so proud of her work. 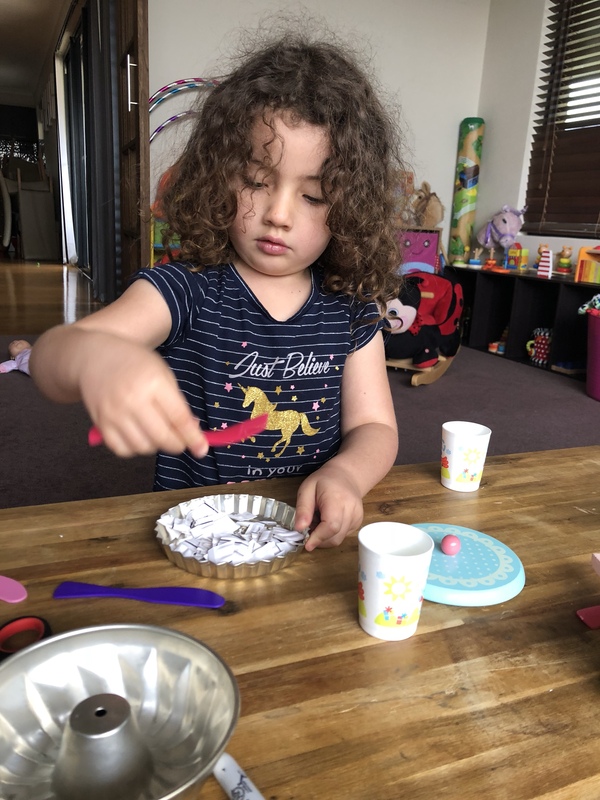 This activity not only helped her with refining her snipping skills but also increased her self confidence when it came to using scissors. Once she finished her styling activity, as quickly as she started she moved the pieces of ‘hair’ into her kitchen zone and began baking. Waste not, want not! This is great! 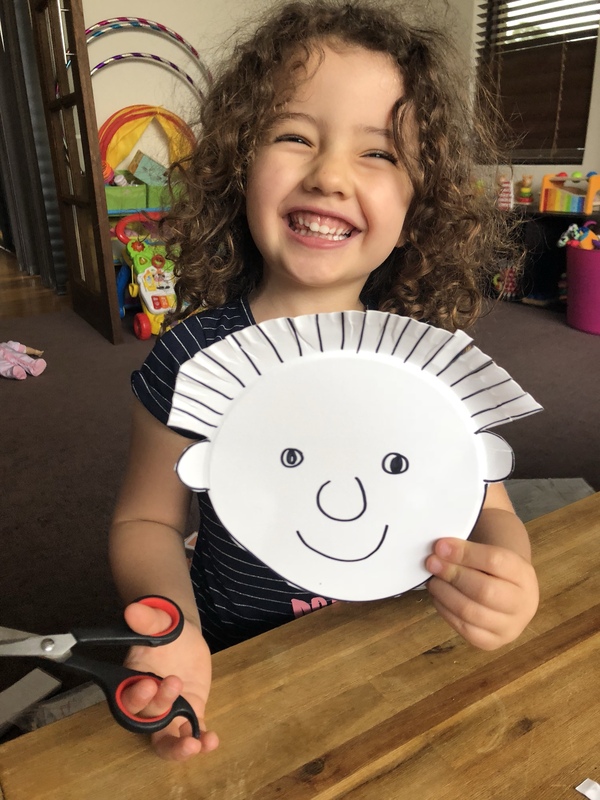 My daughter has special needs so finding interesting ways to use scissors is very important. I think she would enjoy this! awww I just love this idea! 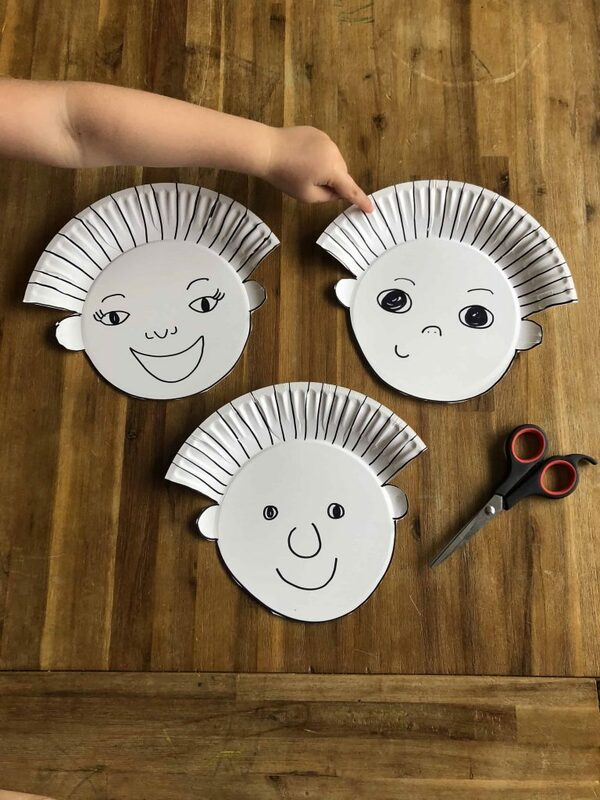 We have these paper plates readily available and my kids would totally love to do this! I can’t wait to try it with them, i’m sure they will love it! Any time away from screen time is my favorite! Aww so cute. I love arts and crafts. 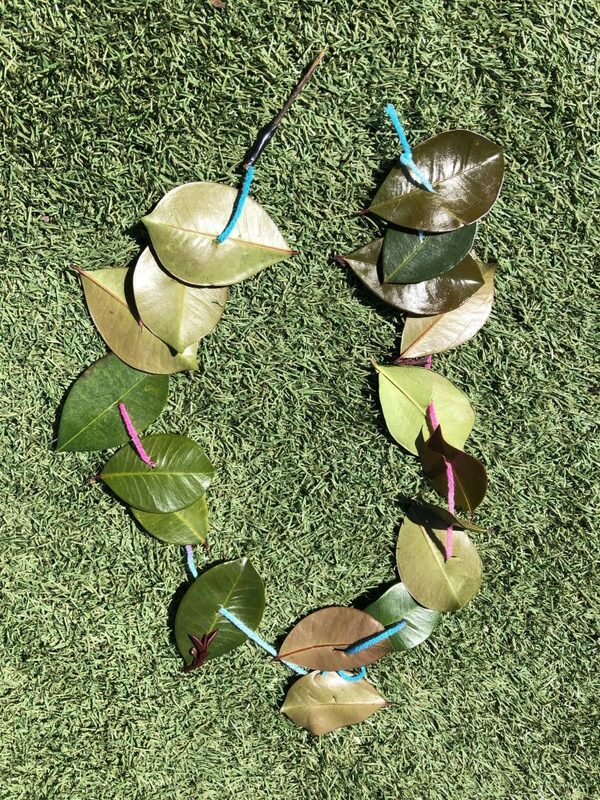 When I start having kids and this get old enough for crafts we will definitely be making stuff all the time. This is an awesome activity. 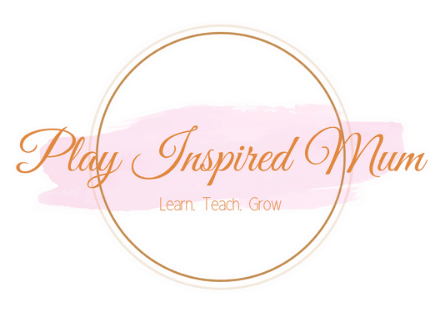 Kids would love it and it helps them learning fine skills. Thank you! It’s really fun! Certainly better than trimming their own hair too! 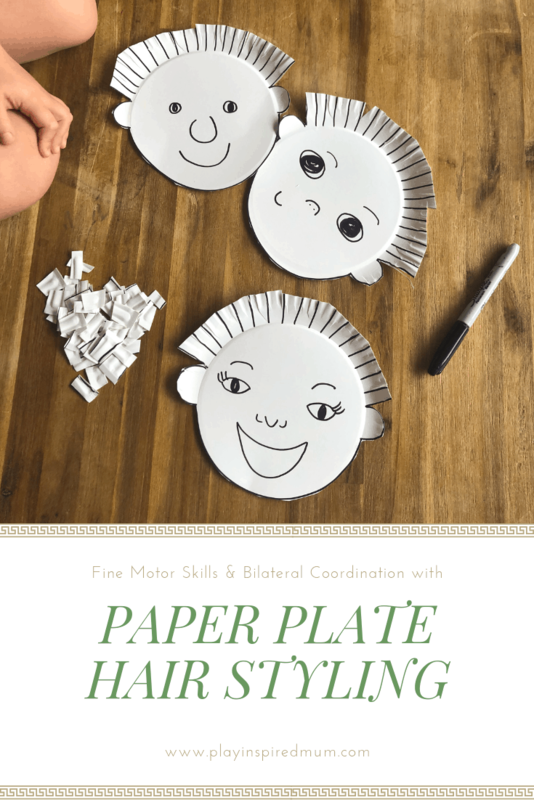 This is such a fun activity for thekids!! This can actually be incorporated in kiddie parties, too. Her works are lovely!! I can see that she really enjoyed every bit of it! 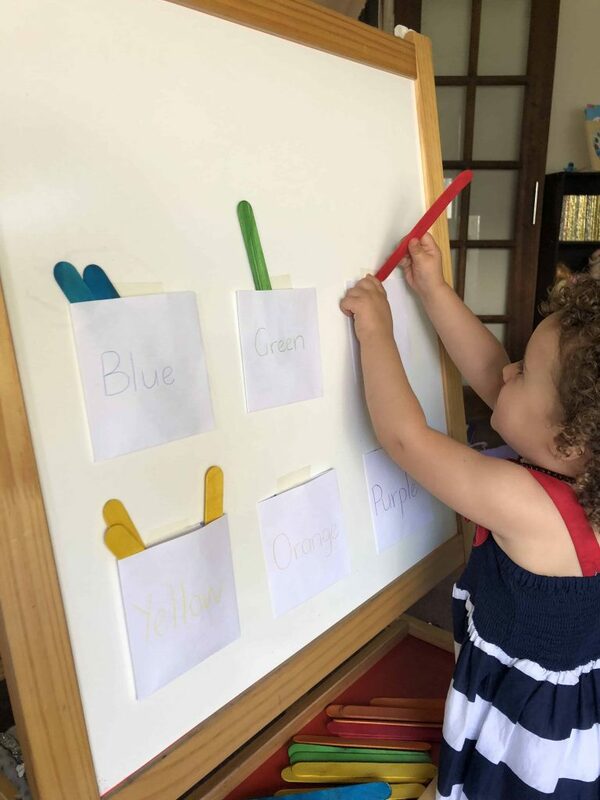 i have two toddlers and this exercise is something appropriate to my older toddler. he will surely have lots of fun doing this and also learn from the activity. thank you for sharing.